This is the fourth installment of our series exploring new and relevant terms in project management. Project management terms are changing. Keep on top of the changing trends with our deep dives into these methods and practices, and you can find them all in our Intro to Project Management category. 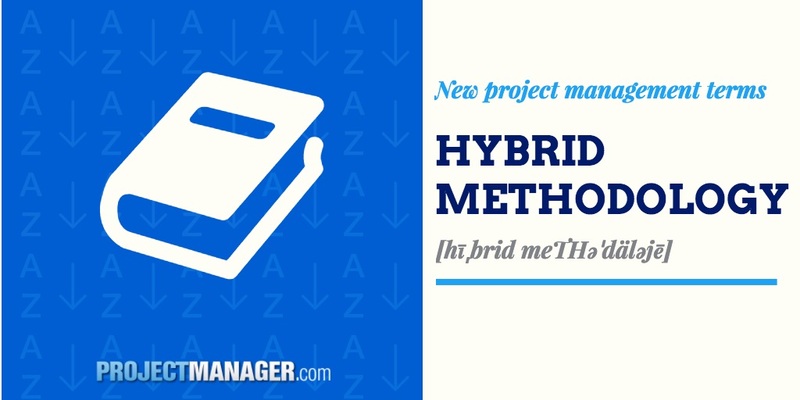 The term hybrid methodology isn’t as opaque as some new ideas that have sprouted up recently in the field of project management. The simple definition is that it’s a combination of two different methodologies or systems to create a new and better model. Project management is rife with methodologies, from Waterfall to Agile to PRINCE2 to PMBOK to Lean, and the list goes on. They speak to the managerial interests of the profession, which is always looking for better and more efficient ways to carry a project to completion. New methodologies are constantly being developed to challenge the traditional models, and hybrid methodologies note that there can be synergy in combining aspects of new and traditional work methods. Even with traditional, “macro” project management practices, professor, author and consultant Mario Henrique Trentim notes there is value in a hybrid approach, what he terms a “micro-management” view that can boost results. He suggests merging methodologies such as Scrum or Kanban, which break down a schedule of activities from the management view into smaller tasks that can be visualized to augment different views for team members. Related: Kanban vs. Scrum: Which is Better? “It’s very important to be ‘fluent’ in more than one project management ‘language,’” Trentim wrote. “The more you learn, the better equipped you are to tame wild projects that cross our desks every day.” Hybrid methodologies are tools that you can use to address aspects of your projects. The more you know, the bigger the toolkit and the more options you have to tackle the job. Regardless of what method you employ to successfully complete your project, you’re going to need tools that are flexible enough to allow you to collaborate across the enterprise. ProjectManager.com offers a cloud, collaboration project & portfolio management tool that drives visibility across teams and across the business. See for yourself by taking this free 30-day trial.